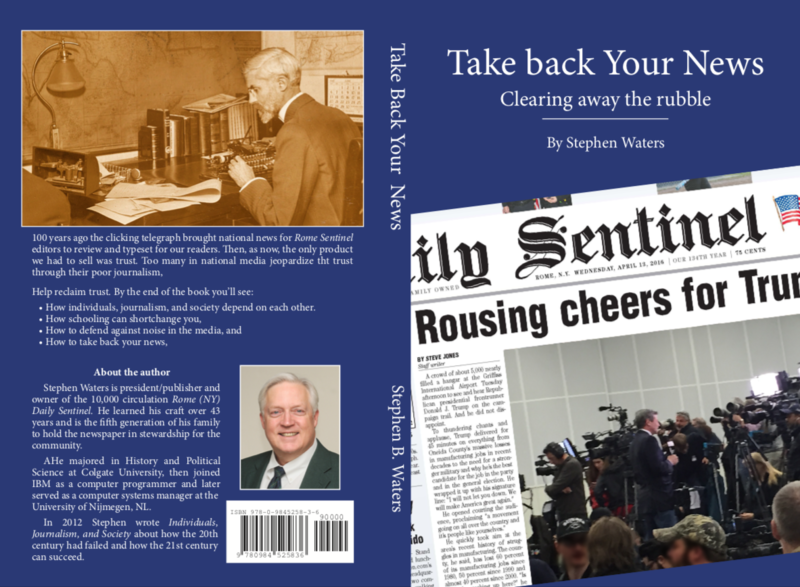 Book 1: Follows a publisher’s efforts to improve the quality of wire service news reporting. It begins with a brief tutorial about news and follows with evidence for the reader to examine to come to personal conclusions. Book 2: Considers how ordinary people might have fallen into the trap of poor journalism. Book 3: Examines how, adrift in an ever-changing sea of sense experience one can create a solid foundation for personal judgment of news.